A smooth aromatic blend of peppermint leaves and certified Organic Chinese gunpowder. Dark green leaves produce a transparent emerald liquor with refreshing peppermint and subtle chocolate notes that make Moroccan Mint an original classic. Delicious hot and iced. If you are a fan of mint teas Moroccan Mint is always great. I’ve tried other brands of Moroccan Mint, but this one I liked best. If I could customize a box to get each month this just might be one I’d put in it. This has probably been my favorite tea from the subscription box so far. I love mint tea in general, but this one tasted particularly fresh and pure. I've enjoyed it hot, iced, and sweetened. Great tea! This tea is great! 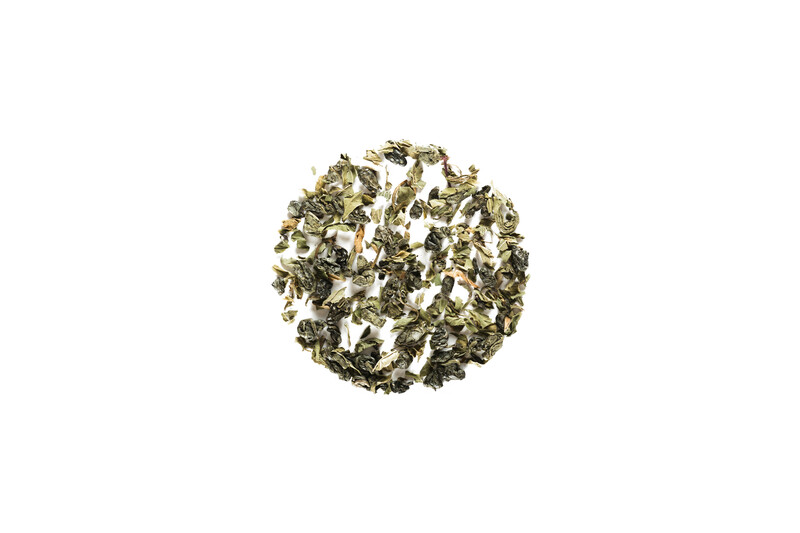 The mint is crisp & refreshing while still featuring the benefits of green tea. Simply delicious! This tea was a very true mint - very sweet, not too herbal. Paired well with honey. I absolutely love the Moroccan Mint tea. It makes a fantastic cup of tea that isn't too strong. I would highly recommend this tea.